Architect John Klopf of Klopf Architecture designed an Eichler kitchen in Sunnyvale using ArchiCAD. He started with some hand-drawn plans and then, after a discussion with the homeowners, moved the most promising of those plans to the 3-D software. "This was a master plan we created for the owners to help them envision the project and get some ballpark pricing from contractors," he says. "This project hasn't been built yet, but it could be developed from here into working drawings that could be built in the future." 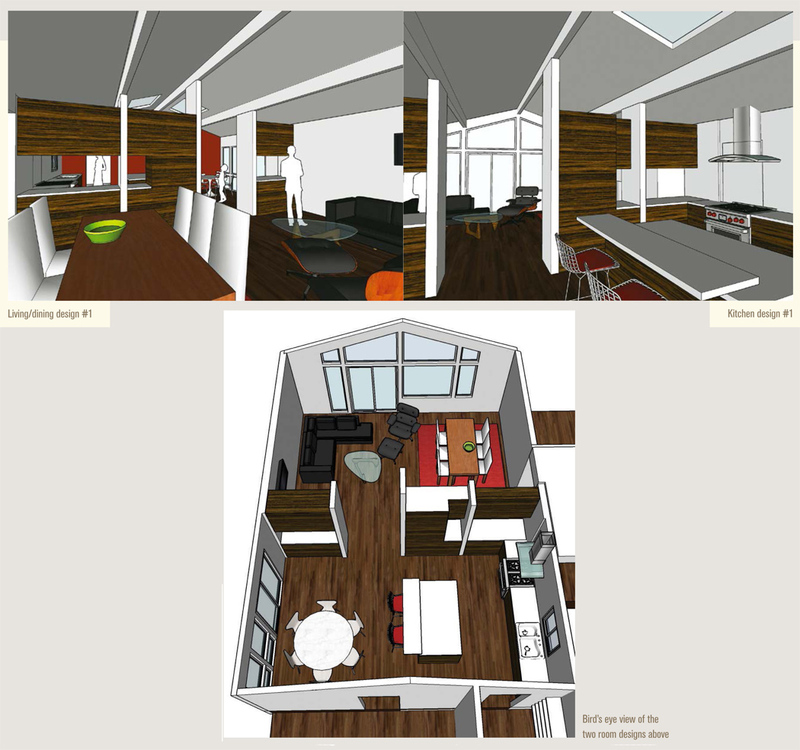 Since the focus of this remodel was the kitchen, Klopf's 3-D renderings show a few different designs (two are shown here) for the kitchen work triangle: sink, range, and refrigerator. The center of the design revolved around an island that housed the kitchen sink and dishwasher. In one version, the refrigerator, oven, and microwave were installed against the garage wall and the cooktop placed across from the kitchen sink. In another, the appliances swapped locations, placing the cooktop on the garage wall and the refrigerator, oven, microwave, and storage across from the island sink. The three models included in Klopf's presentation allowed the homeowners to think about how they cook and interact in the kitchen to determine which layout best suited their family's lifestyle.